Advances in long-read single molecule sequencing have opened new possibilities for ‘benchtop’ whole-genome sequencing. 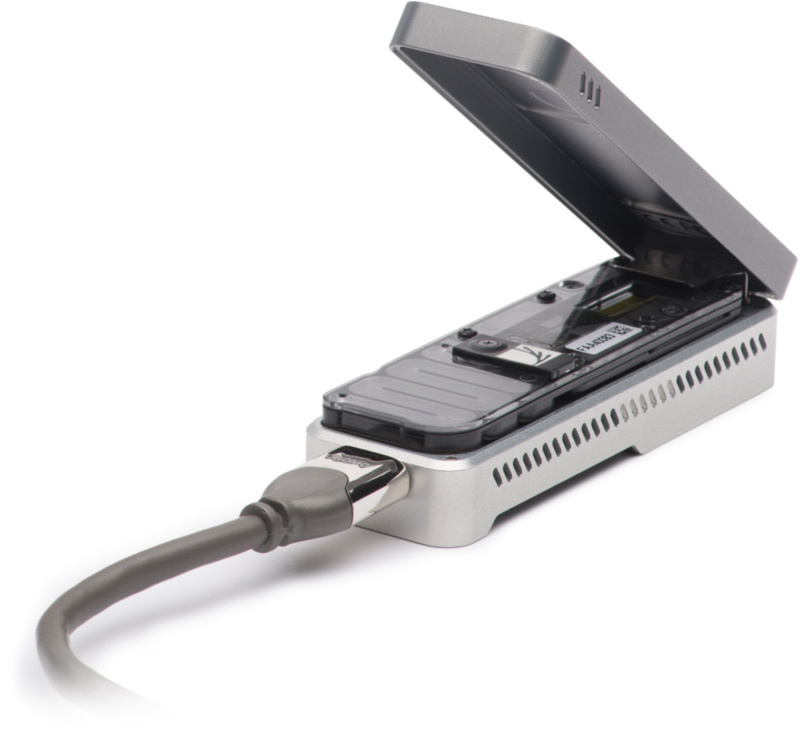 The Oxford Nanopore Technologies MinION is a portable device that uses nanopore technology that can directly sequence DNA molecules. MinION single molecule long sequence reads are well suited for de novo assembly of complex genomes as they facilitate the construction of highly contiguous physical genome maps obviating the need for labor-intensive physical genome mapping. Long sequence reads can also be used to delineate complex chromosomal rearrangements, such as those that occur in tumor cells, that can confound analysis using short reads. Here, we assessed MinION long-read-derived sequences for feasibility concerning: (1) the de novo assembly of a large complex genome, and (2) the elucidation of complex rearrangements. The genomes of two Caenorhabditis elegans strains, a wild-type strain and a strain containing two complex rearrangements, were sequenced with MinION. Up to 42-fold coverage was obtained from a single flow cell, and the best pooled data assembly produced a highly contiguous wild-type C. elegans genome containing 48 contigs (N50 contig length = 3.99 Mb) covering >99% of the 100,286,401-base reference genome. Further, the MinION-derived genome assembly expanded the C. elegans reference genome by >2 Mb due to a more accurate determination of repetitive sequence elements and assembled the complete genomes of two co-extracted bacteria. MinION long-read sequence data also facilitated the elucidation of complex rearrangements in a mutagenized strain. The sequence accuracy of the MinION long-read contigs (∼98%) was improved using Illumina-derived sequence data to polish the final genome assembly to 99.8% nucleotide accuracy when compared to the reference assembly. John R Tyson, Nigel J O'Neil, Miten Jain, Hugh E Olsen, Philip Hieter, Terrance P Snutch.